Situated at the foot of Blue Mountain in the Lehigh Valley, Nazareth is an inviting, progressive community welcoming all. It is a blend of communities including the townships of Bushkill, Lower Nazareth, Upper Nazareth, Stockertown and Tatamy. 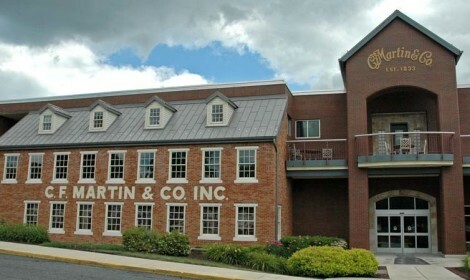 This town is the home of The Martin Guitar Company and the hometown of the world famous Andretti racing family. There is plenty to offer – professional offices, retail shops, agriculture, and industries producing textiles, chemicals, plastics, and cement demonstrate an active economic climate. In addition, residents and visitors can enjoy recreation in the community park, hunting, fishing, and more. Nazareth welcomes you to discover her rich heritage, stroll her tree-lined streets, and experience her presence in the 21st century.